We love John McAfee. He is like a crazy version of Tony Stark, without the Iron Man suit. The founder of McAfee antivirus has finally revealed details about his newest project. Speaking at the inaugural C2SV Technology Conference + Music Festival, he said that his new venture is a pocket sized gadget that will prevent internet surveillance. How it works is that it will create a small pocket networks that cover roughly about a quarter of a mile (400m). Because these networks are so isolated, it will allow users to share and communicate without the threat of being watched. It will essentially create a miniature dark web. 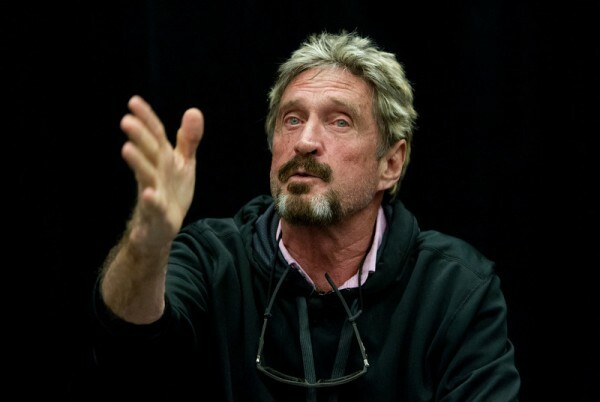 When asked if his idea, dubbed the Decentral, could possibly be used for criminal activities, McAfee admitted that it probably would be used in that way; just like how a telephone is used for nefarious purposes. We can’t say that he isn’t interesting in his responses.